Wash and clean chicken breasts. Salt and pepper these and grill until cooked. While the chicken is cooking, cut the flesh of a watermelon very thinly – a mandolin is great for this. Place thin slices of watermelon on plate, do not layer one slice over another. 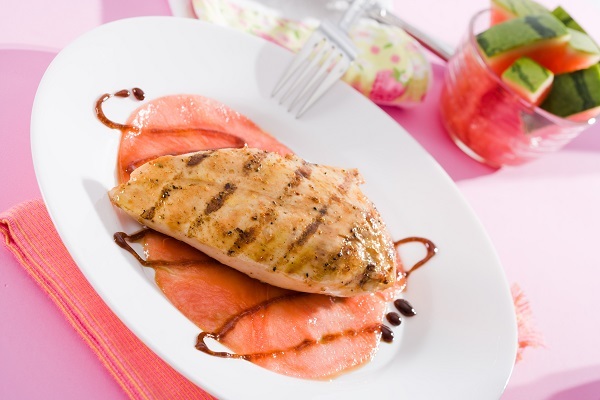 When chicken is ready place on top of the watermelon and enjoy!